Students gathered outside Civic Center Plaza in San Francisco Friday following the Santa Fe High School shooting in Texas Friday morning. Jean Elle reports. 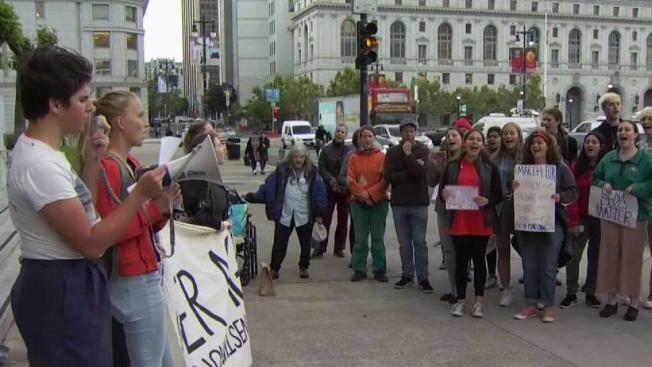 Students gathered in San Francisco for a gun violence protest outside of Civic Center Plaza in San Francisco following the Santa Fe High School shooting in Texas Friday morning. "I’m fed up that not only these things are happening, but they are not getting the attention and anger that they deserve," said Tamalpais High School student and protest organizer Jake Cohen. A freshman at the Mill Valley school, Cohen stood up in science class Friday and urged his classmates to attend the rally later in the day. "You need to be there. And this needs to be a priority for you," Cohen said. "Because like I said, these children were murdered at school. It was almost us, it could be us, and it was them today." 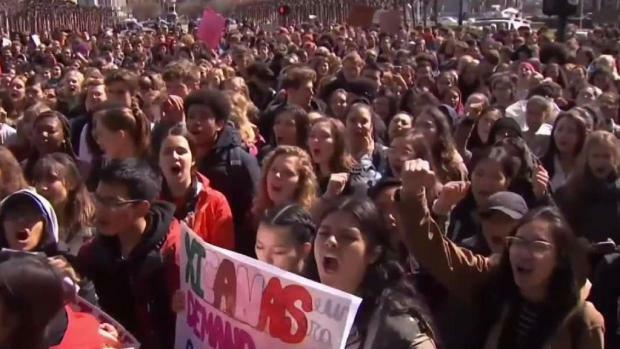 Hundreds of students are expected to gather in San Francisco for a March for Our Lives rally following the Santa Fe High School shooting in Texas Friday morning. Sam Brock reports. Tamiscal High School senior Lola Amador says she refuses to accept a society where active shooter drills for grade-schoolers are the norm.